Happy New Year! 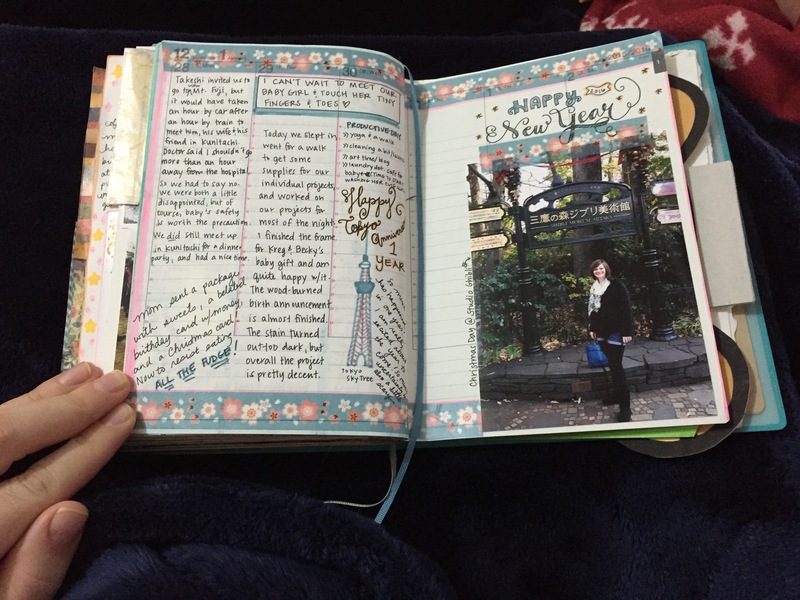 With the arrival of 2016, it’s time for me to start a fresh art journal! It’s amazing to look through my 2015 journal now–not only did I manage to fill in the entire journal for every day over the past year, but by doing so I was able to record a lot of really neat things and improve my art journaling skills in the process! After I finished adding in a few cards and things yesterday, my journal was even thicker than it is above! As with my last journal, I’ve chosen to use a planner as my 2016 journal, but this time I chose one that has a little more space for each day so I can write a little more if I like. There are a few other things I like about the layout of my new planner a little better than my 2015 one, and a few ways my approach to journaling has changed. When I started my 2015 art journal using the planner method (as mentioned here), I would always write the weather, a color of the day, a word of the day, and an image of the day. 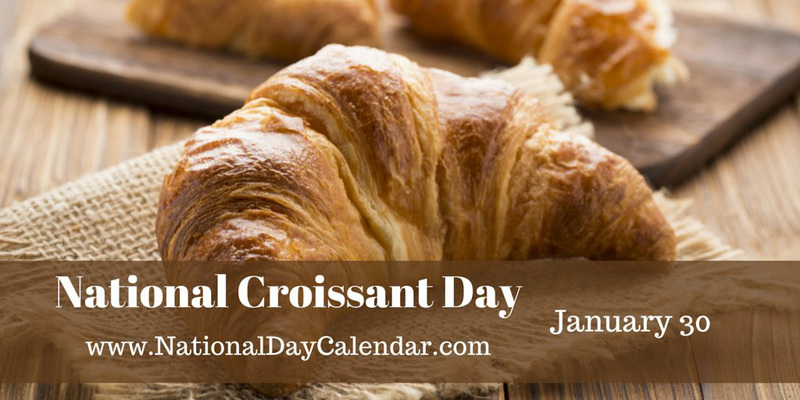 As the year progressed, I found that for me, the weather and a chosen “color of the day” didn’t really reflect much that would be memorable or important about my day. Over time I started filling my daily entries with more specific things about my days instead. In the above right page, I answered an art prompt asking about a childhood object I made. I remembered painting little wooden horses for a carousel. Sometimes entries about my day would just end up being a short sentence or two, like in the pages pictured above. Then I would add other things like quotes that were relevant to me recently, ticket stubs, business cards and other collected things from the week, washi tape, images or drawings, and writing prompts. If I had more that I wanted to do with a writing prompt or journaling, I would do it on the lined pages at the end of my planner or attach more paper with washi tape. At the end of the year, I also chose a few writing prompts from Susannah Conway’s Unravelling the Year Ahead free downloadable workbook to fill up some of the extra lined pages in the back and reflect on my year. Other days I would write more details about my day, and have less space for extra things like quotes and prompts. Basically, I just went with how I was feeling. I also would go back and forth between setting up pages in advance with colors, add-ins (like pictures or ephemera, etc. ), and washi tape, etc., and writing everything over the week first and then adding all the art. 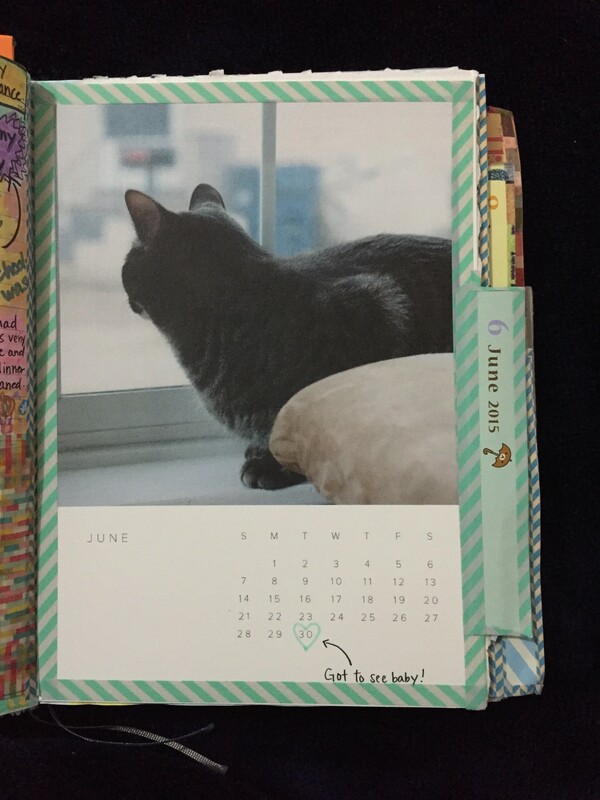 Each month, I added a calendar page from the amazing 2015 calendar Chad gifted me the previous Christmas with pictures of our kitties. 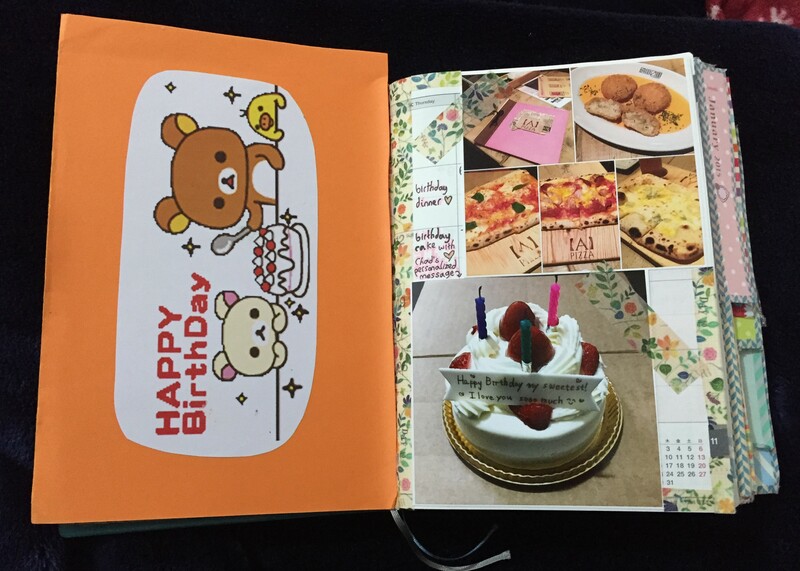 I also added month tabs cut out from my Rilakkuma planner (that I used like a traditional planner over the year) to mark each month so I could flip through months at a glance. On the back of each calendar page I would either paint/draw/create images relevant to the month (as seen here), or add pictures from the month. I also sometimes added extra brochures or memorabilia that I wasn’t able to squeeze into the daily pages. My 2015 planner has monthly overview pages in the front of the book, followed by the weekly pages for daily entries. I filled the overview pages with extra memorabilia and pictures as well. Above I taped in a birthday card my coworkers made me in November, along with some pictures of my birthday dinner and cake. 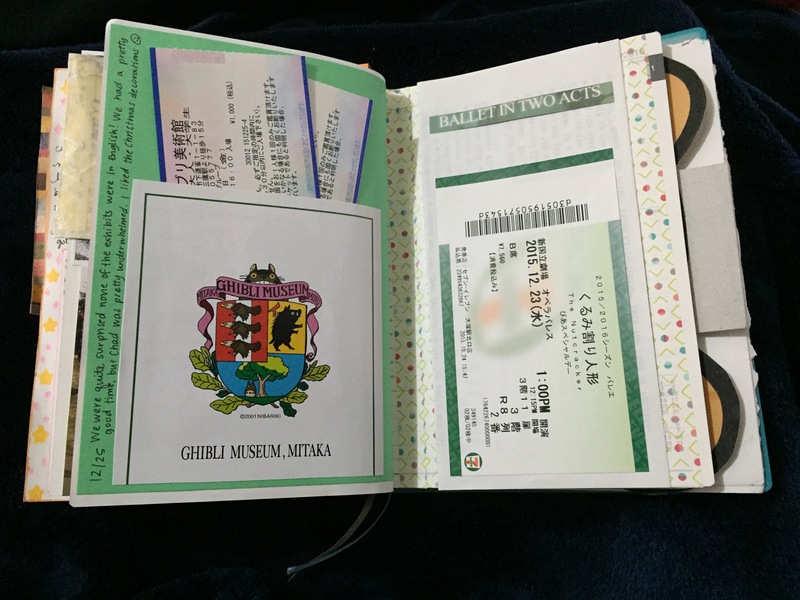 If I had even more memorabilia that I couldn’t fit on the calendar pages, I once again took advantage of the lined pages in the back of my journal. 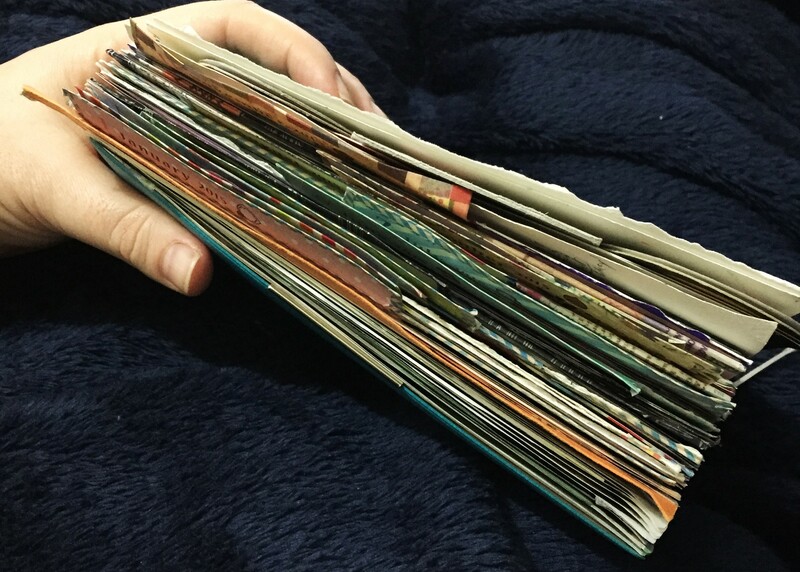 As pictured above, I sometimes used brochures or parts of greeting cards given to me to make pockets for things like ticket stubs. It is really fun to look back at all of my memories from 2015, and I am looking forward to being able to do the same for this year. I love that I could spend as little or as much time as I wanted to fill out my journal, and my plan is to continue with the approach I fell into over the course of 2015 this year. 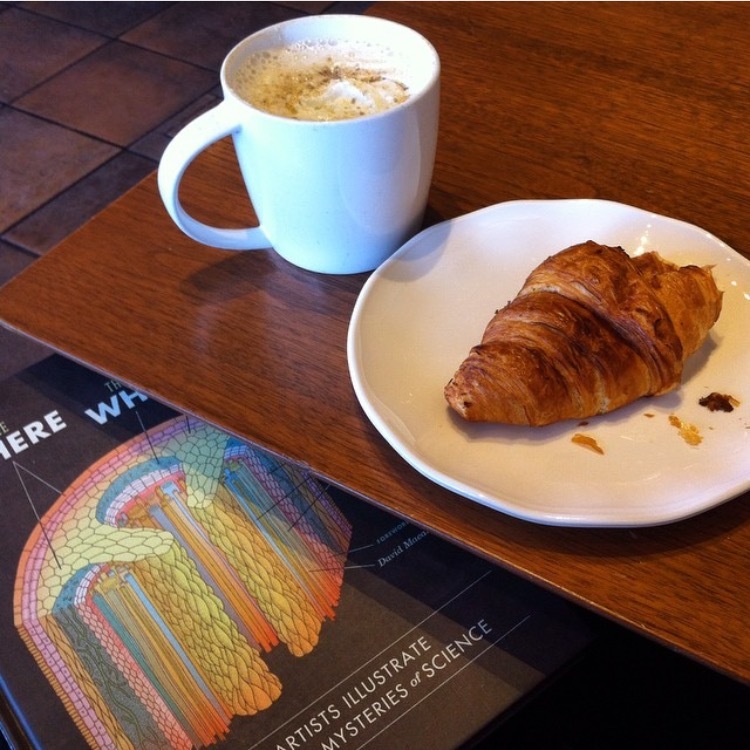 I also hope to continue learning and trying new ideas (like pairing my daily journaling with The 52 Lists Project!). I hope that sharing my approach to art journaling has given you some ideas and inspiration, and would love to hear what kinds of things you do in your art journaling! P.S. Here is another post with some of my favorite pages from 2015. In the post I also mention some interesting things about pregnancy in Japan!